On Monday, May 14th, the James B. Edwards Bridge over the Wando River near Charleston, SC was closed for repairs. Transportation officials noted one of the steel support cables had broken and corrosion was found on other bridge cables. The bridge is a major route for cargo truck deliveries to and from Waldo Welch Terminal at the Port of Charleston. On Thursday, May 31, SCDOT announced that weather permitting, the westbound lanes of the Wando River bridge could reopen on Saturday, June 2nd. The SPA has also implemented extended hours at the terminal through this weekend. Local authorities emphasize this is expected to be a short term problem. We will monitor the situation and provide updates. According to a bulletin from International Trade Today, President Donald Trump announced that as of June 1st, 2018 the exemptions from Section 232 tariffs on steel and aluminum for Canada, Mexico and the EU will end. No permanent agreement was reached for the countries, and the administration did not extend their temporary exemptions. Beginning 12:01 am on June 1st, steel sourced from all countries with the exception of Australia, Argentina and Brazil will be subject to the 25% tariff. In previous updates, we informed you that on March 22, 2018, President Trump signed a memo recommending tariffs on an estimated $50 billion in imports from China. This action prompted considerable speculation and debate regarding the final list of products to be affected. Please note, on May 29th, The White House issued a briefing statement. ......."Under Section 301 of the Trade Act of 1974, the United States will impose a 25 percent tariff on $50 billion of goods imported from China containing industrially significant technology, including those related to the “Made in China 2025” program. The final list of covered imports will be announced by June 15, 2018, and tariffs will be imposed on those imports shortly thereafter." The situation with China tariffs is likely to affect many products. We recognize that any potential disruption in your supply chain process is unpleasant news and as your logistics partner, we will continue to offer our support. Meanwhile, do not hesitate to contact our customer service team if you have questions regarding the status of your shipments. Carriers may seek to implement additional surcharges over the next two months. 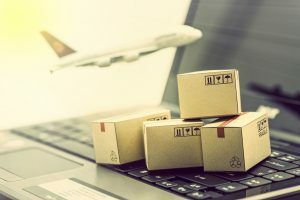 The Journal of Commerce reports that a range of surcharges may be imposed by carriers in June and July of 2018. 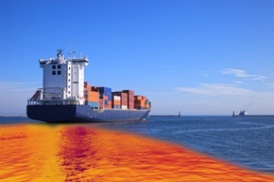 Emergency bunker surcharges (EBS), peak season surcharges (PSS, and operations recovery costs (ORC) along with general rate increases (GRI's) may be passed along to shippers. We will monitor these developments and keep you informed. NAFTA negotiations with Canada and Mexico to be conducted separately The Trump administration announced June 5th that the US President would like the three-party talks between the US, Canada and Mexico to be conducted in a bi-lateral format. Trump has declared he does not want to withdraw from NAFTA, but would like to try a different approach. It remains to be seen if the Presidents of Canada and Mexico will agree to the new format. Perhaps you are a new importer and have not encountered incoterms before. 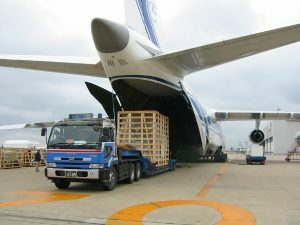 Incoterms were created by the International Chamber of Commerce (ICC) for use in sales contracts. 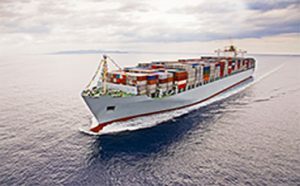 As of the last revision effective January 1, 2011 there are eleven (11) incoterms related to shipment and delivery of goods. Incoterms are periodically updated by the ICC and are invaluable to importers and exporters alike. 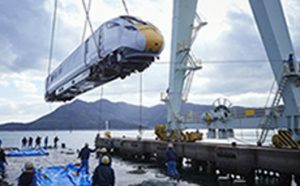 Define where and when ownership of the cargo is transferred; essential in the event of loss or damage. Serve as shorthand to notify parties of important shipment details and should be prominently displayed on commercial paperwork. Check out the full article for more information about incoterms.